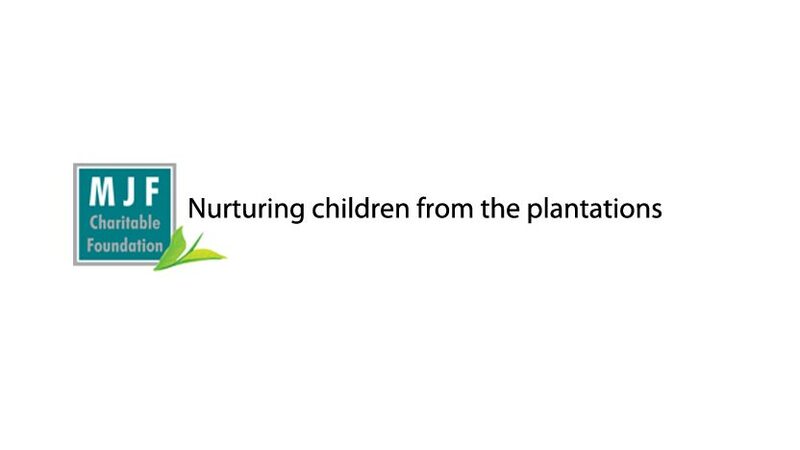 The MJF Charitable Foundation, that has aimed to uplift the lives of underprivileged children through initiatives that provide them the tools to shape their future, has been actively involved in the caring and educational instruction of plantation children. Among these initiatives the Foundation has provided for Child Development Centres for preschool plantation children which combines learning and play in a stimulating environment that facilitates their mental and physical growth, English classes and scholarship programmes for children thus providing them with the same opportunities of their more fortunate peers. In a new programme the Foundation is now providing facilities to equip these children in this information age by facilitating computer education. The Foundation stepped into alleviate a long felt shortcoming of two schools, Tientsin Tamil Maha Vidyalaya in Bogawantalawa and Dunkeld Tamil Maha Vidyalaya in Dickoya. These schools are exclusively attended by children of plantation workers from estates such as Kirkoswald, Kew, Bogawantalawa, Morar, Tientsin, Dunkeld and Castlereigh located in the Nuwara Eliya District and Central Province of Sri Lanka. Tientsin and Dunkeld which have student populations of 640 and 390 respectively have had a long term requirement for facilities to conduct computer classes. In December 2007 the Foundation established computer units in both schools which will benefit between 100 – 120 students. The Foundation completed two new Child Development Centres and upgraded a facility for children in the Pelmadulla and Poronuwa estates. With the addition of these centres the Foundation now provides havens for 2550 children. Each child receives a midday meal and gains an educational and recreational experience while their parents are at work on the plantations. All Centres are provided custodial care and pre school training together with learning and play materials to facilitate proper mental and physical growth stimulation for children who are less than 5 years of age. In January 2008, 1000 children who were initially attending the Child Development Centres were provided school bags complete with stationery to begin their first year of primary school education. This distribution of school kits to children was conducted for the second consecutive year and children from 37 plantations benefited from the programme.